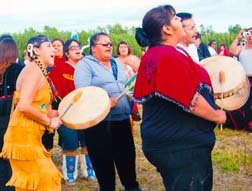 The annual pilgrimage to Lejac is almost here, from July 5 to 7, to honor an Aboriginal woman who has inspired many due to her simplicity of life and faith. 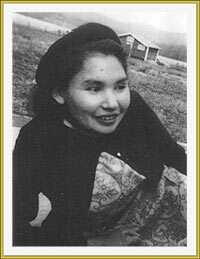 Rose Prince was born on Saturday, August 21, 1915, in a small house on a hill in the Carrier Nak’azdli First Nation and behind the convent near Fort James. Rose was a Dakelh woman who has inspired an ongoing Catholic pilgrimage. Prince was born in Fort St. James in 1915, the third of Jean-Marie and Agathe Prince’s nine children. Jean-Marie came from the lineage of the great chief Kwah. When the Lejac Residential School was built in 1922, Prince was sent to this school along with the other children. At 16, still attending school at Lejac, her mother and two youngest sisters died in an influenza outbreak. Devastated, she opted not to return home for the summers, staying on at the school instead. She was a quiet and unassuming student. She was a gifted and attentive student, a child of deep faith and outstanding love for God. After graduation, she remained at the school, completing chores such as mending, cleaning, embroidering, and sewing. Prince contracted tuberculosis at the age of 34. She died on 19 August 1949. Two years later, in 1951, several graves west of the Lejac Residential School were relocated to a larger nearby cemetery because a railway passage has to be constructed. During the transfer, Prince’s casket broke open, and workers were apparently astonished to find Prince’s body and clothing in pristine condition, despite the years that had passed since her death. Other bodies were examined, but even those who had died after Prince showed signs of decay. Witnesses said her body was still fresh, and “as if she was sleeping,” with “just a little smile on her face.” The bouquet of flowers on her chest was withered, but some observers maintained that a fresh rose lay in her hands. Others did not see the rose, which was said that the rose may have been a spiritual vision seen only by some. Although all of them agreed that the entire body and the clothing were in a state of perfect preservation. The story spread, especially in the Carrier Nation. Miraculous happenings attributed to her through visiting her grave and taking earth from her grave. Every year, my family joins the pilgrimage to bring roses to cover her grave and pay respect. Every year, I missed it due to work obligation. I must say, I am proud for the Aboriginals to have an outstanding woman from their nation. “Heavenly Father, you shared so deeply with Rose Prince, of the Carrier Nation, your gift of serenity, and shared with her your love for your creation. 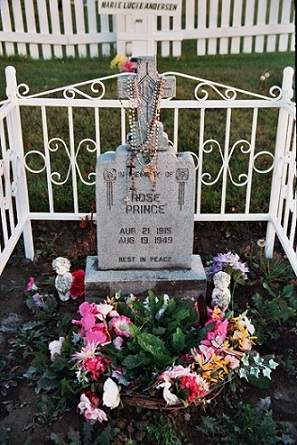 This entry was posted in Pilgrimage and tagged Aboriginal, British Columbia, Canada, Faith, First Nation, Fort St. James British Columbia, Lejac Residential School, Pilgrimage, Rose Prince, Susan Hauck by Perpetua. Bookmark the permalink. Exactly what my blog today was talking about! Beautiful story. is this the one, Tina? Yes ma’am. Just thinking she was a woman of faith. It is a tribute for the Aboriginals, the First Nations of Canada. I am hoping that they will find healing because of the damage done by the “while people and Christians alike”. The horror story I read being sent to “school” is mind boggling. Mind you the Japanese, the Russians and others were “sent” away by the Canadian authorities. The tribute is powerful, and refreshing. It is also something that I resonate with fully. Thank you again for the powerful tribute to the Aboriginals of Canada, and for shining your light on the issues. Very inspiring. How good of God to give saints to every land and nation. I am trying to get into your post today at Sunday Snippet and I registered. I still can’t get in. Again, a very touching story!! You write about interesting things, Seeker, things I don’t otherwise know about. Enjoyed this. Amazing, lives passed.